Democrat Rep Says NY Times Op-Ed Leaker Is Protected by the First Amendment? 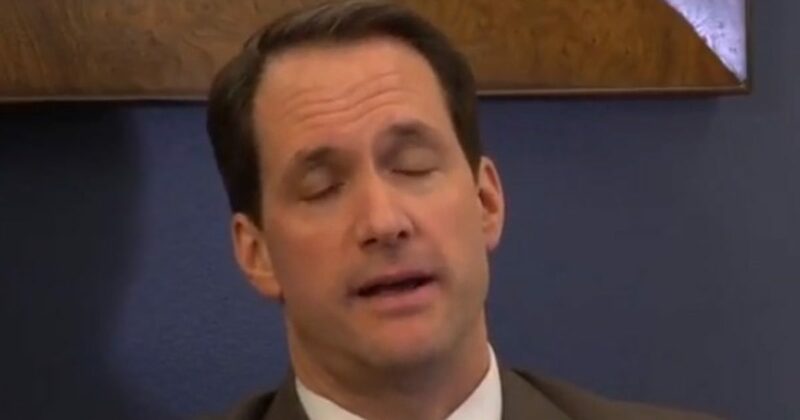 Democratic Representative Jim Himes of Connecticut said that the op-ed leaker appears to be protected by the First Amendment. According to Mr. Himes, there was no classified information revealed in the op-ed that basically called the Donald Trump run White House a crazy house. It did more than that, it attacked the very competency of our Commander-in-Chief. Whether Himes is correct or not, and there are always non-disclosure agreements, there was another thing revealed. If there really is an anonymous staffer gone rogue, then this op-ed confirms that there actually is a deep state focused on the overthrow of the President. Democratic Rep. Jim Himes of Connecticut said on CNN’s “New Day” Monday that the White House staffer who wrote an op-ed for The New York Times is protected by the First Amendment. Himes said no classified information was released so no crime was committed. He accused the White House of grasping at straws to frame the debate in its favor. “Revealing classified information, of course, is a crime. There’s no allegations that there was classified information released there. So now, this just feels like another sort of shot in the dark by the…..